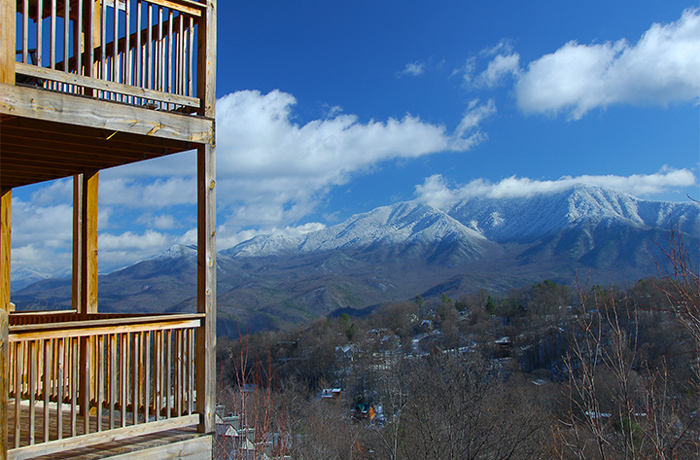 Are you planning to visit Gatlinburg over the Christmas Holiday? There's a lot to love about visiting Gatlinburg during December! If you plan to be in town over the holidays, you might be wondering: "what's open in Gatlinburg on Dec. 25th?" In addition to millions of beautiful Christmas lights and plenty of holiday magic, there are plenty of reasons to enjoy Gatlinburg on Christmas Day. To make the most of your visit, we've made a list of the best attractions that are open for Christmas. 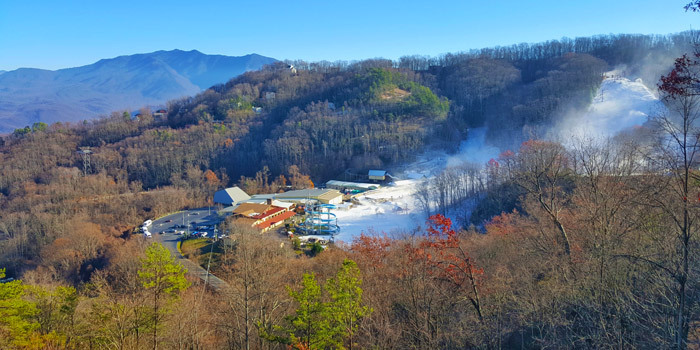 Anakeesta is a mountain-top adventure park that can be accessed by a chairlift or "chondola" from a lift station in Downtown Gatlinburg. Not only is this fun, new attraction open on Christmas Day, but it is also open on Christmas Even as well! 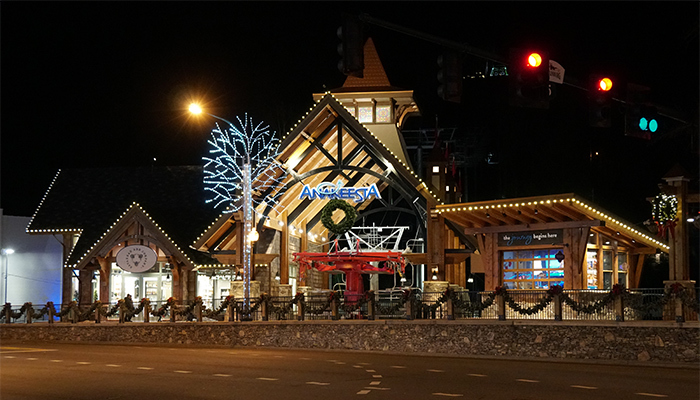 In addition to offering activities like the canopy forest walk, gem mining, shopping, and restaurants, Anakeesta will also be fully decorated for the holidays! Thanks to their special "Santa's Village" event, Anakeesta will feature lots of decorations, Christmas lights, and even carolers. Another major attraction you can visit is the Great Smoky Mountains National Park! This popular national park is completely open on Christmas Day, so you can plan for a winter hike or a scenic drive through the mountains. Please note that certain areas of the park may be crowded on Christmas Day. This includes regions like Cades Cove and Newfound Gap. Additionally, some popular destinations like The Roaring Fork Motor Trail and the Clingmans Dome Road are closed to vehicles during the winter months. That being said, there are many beautiful parts of the national park like Tremont, Elkmont, Greenbrier, and Cosby that are perfect places to visit on a beautiful winter day. 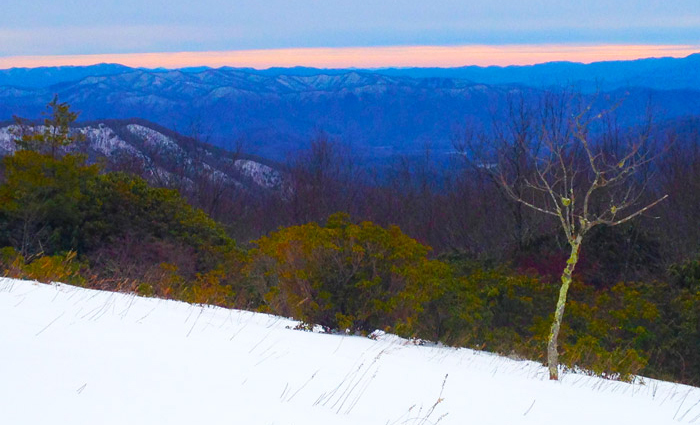 Be sure to check out our winter hiking guide for planning your visit to the Smokies in winter. The 407' ft. tall Gatlinburg Space Needle Observation Tower is one of the most iconic attractions in the Smoky Mountains and it's also open on Christmas day! You can enjoy 360° views from this viewing platform in the middle of the town. 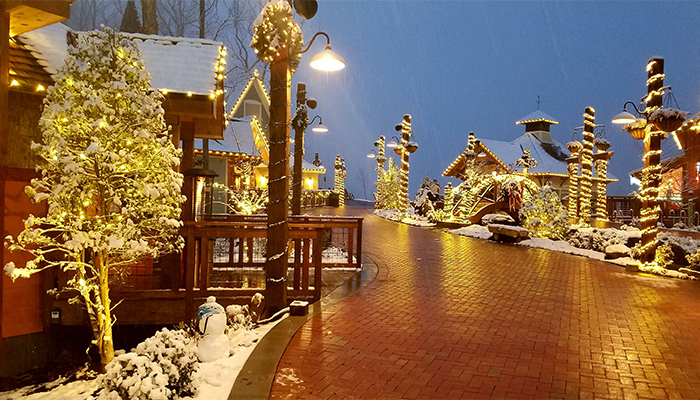 During the day, you can enjoy views of snow-capped mountains and by night you can enjoy the dazzling sight of millions of Christmas lights adorning Downtown Gatlinburg. Tennessee's only ski resort is open on both Christmas Day and Christmas Eve! Whether you want to hit the slopes or just enjoy a nice afternoon of ice skating or snow tubing, this winter fun park has plenty of ways for you to play in the snow on Christmas day! 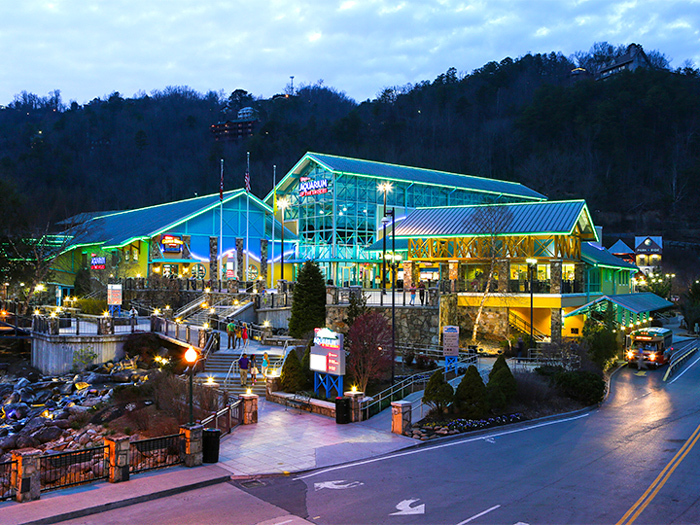 As one of the biggest and best attractions in Gatlinburg, it is fitting that Ripley's Aquarium of the Smokies is also open for Christmas. If you've never been to this excellent aquarium in the Smokies, you can look forward to experiencing the 700 ft long underwater "Shark Tunnel" and the large, interactive "Penguin Playhouse Exhibit." Like any aquarium worth its salt, it also has a dazzling variety of sea life from all over the world and plenty of interactive and informational exhibits. This attraction is filled with lots of bizarre, weird, and wonderful exhibits and it's also open during the holidays! In fact, Ripley's Believe it or Not Odditorium in Gatlinburg has been recently renovated and it now features new fascinating exhibits from all over the world. Other Ripley's attractions like the Haunted Adventure and Mirror Maze are open as well. Shadracks Light Snow is an incredibly popular driving light show in Sevierville. As you drive through Shadracks, you can see incredible Christmas light displays that are synchronized to music. The show earns rave reviews year after year, draws big crowds, and it is even open on Christmas. Shadracks also has a Santas Village, a Petting Zoo, Inflatables, and pony rides for the kids to enjoy. Please note that some of these attractions are also open on Christmas Eve. Additionally, many of these attractions have shorter operating hours on Dec. 25th, but they are open nonetheless. One of the fun, free things you can enjoy on Christmas Day in Gatlinburg is to take a driving tour to see all of the beautiful Christmas light displays in the Smoky Mountains! These light displays are up along major roadways in Sevierville, Pigeon Forge, and Gatlinburg. If you stop by a visitor's center, you can pick up a driving guide to visit all of these beautiful displays. The Smoky Mountains are the perfect place to enjoy holiday magic while you spend quality time with your friends and family. If you want to plan your own Christmastime getaway to Gatlinburg, feel free to contact our helpful reservations office at (865) 436-5031 or browse our website to find the perfect cabin in Gatlinburg for your vacation.